Former Manchester United manager David Moyes reportedly vetoed the signing of world class Spanish midfielder Thiago Alcantara in favour of bringing in Marouane Fellaini instead. The big Belgian was Moyes’ only summer signing that year he moved from Everton to replace Sir Alex Ferguson at Old Trafford. And while Fellaini has had his moments in a United shirt – remaining a key player to this day under Jose Mourinho – he’s not exactly the most popular member of this first-team squad as far as fans are concerned. MUFC fans will certainly not be thrilled to hear the Telegraph‘s report that Alcantara was one midfield signing Moyes personally snubbed in 2013 as he told the club he wanted to bring in Fellaini from his former side Everton instead. Alcantara, meanwhile, ended up moving from Barcelona to Bayern Munich, and is widely regarded as one of the finest creative midfield players in the world. United could certainly do with a player like him right now as their side struggles to find the desired craft and quality from the middle of the park. 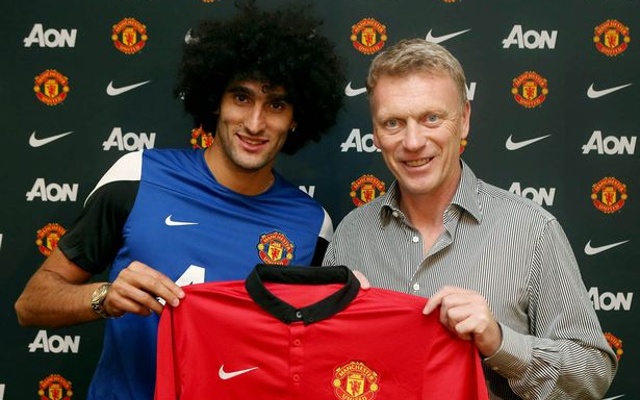 Quite why Moyes went for Fellaini instead of the Spaniard is beyond us and probably everyone else as well.